Life’s all about choices. Some people don’t always make the best choices. Like Tommy here. Tommy Jay Sheldon, 35, is wanted for violating his probation following his arrest for possession of a firearm by a convicted felon. 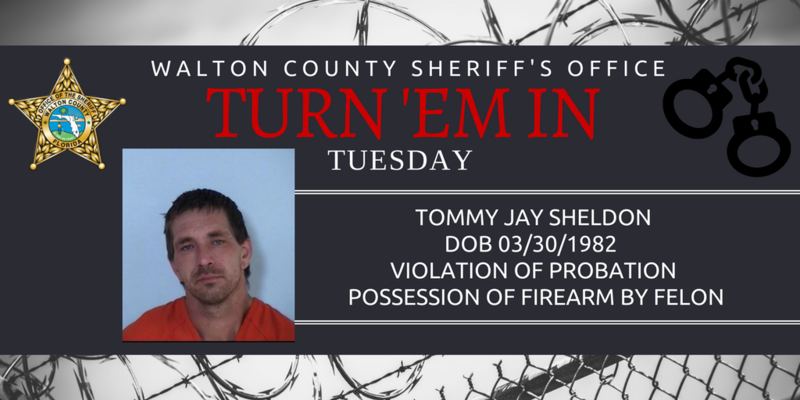 If you see Tommy, let him know his P.O is not too happy with him, and the Walton County Sheriff’s Office is looking for him. He may be staying in the Panama City area. If you have any information on Tommy’s whereabouts please call the Walton County Sheriff’s Office at (850)-892-8111 or you can remain anonymous by calling Emerald Coast Crime Stoppers at (850) 863-TIPS. Submit a web tip at http://www.emeraldcoastcrimestoppers.com/ or send a mobile tip using the P3 Tips Mobile Application.